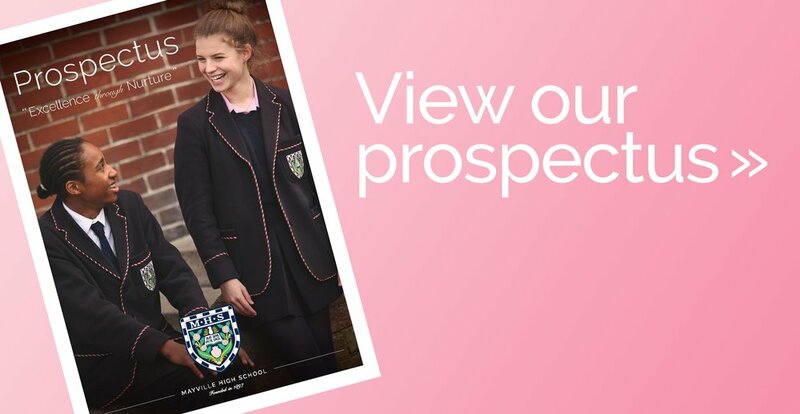 Mayville believes that pupils learn best when they have self-esteem, self-confidence and self- knowledge and we are dedicated to producing pupils who will leave us, talented, confident and empathetic members of our community. Mayville believes that it is the happy child who will learn and the one with self-respect who will approach academic studies positively. We are the school for the individual because we value each pupil for who they are and for what they can contribute to the school community. We understand that boys and girls learn differently therefore we teach boys and girls in single gender groups in core subjects to ensure we maximise the potential of every pupil. 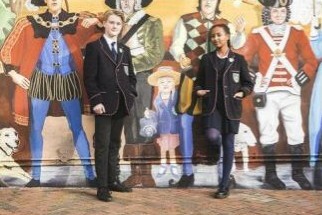 Mixed pastoral bases run throughout the School. Mixed curriculum classes occur in all other areas of the curriculum. We admit pupils from a very wide ability band and offer tailored educational programmes for able, gifted and talented pupils as well as for those who need a considerable amount of learning support. We understand that children have different learning styles and seek to provide them with access to information through a wide variety of strategies. We care about our pupils and seek to provide a strong, secure base where they will gain the skills to meet the challenges of the wider world. We intend that Mayville pupils when they leave us will have reached their academic potential, will be self-confident and will have strong social skills. They will have enjoyed a broad-based education that includes a wide variety of creative and sporting activities by participation in our academies – Mayville Academy of Performing Arts and Mayville Sporting Academy. Mayville pupils will be tolerant, responsible and supportive members of the society into which they will emerge as young adults. At Mayville, we are very proud of the reputation and high quality of our pastoral care. Our belief is in ‘Excellence through Nurture’: teachers and pupils alike share a commitment to care for one another. The pastoral system embodies this instinct for care and support, embedded within a school that sees itself as a family. We meet together as such, from the very youngest to the oldest child, in assembly every Monday morning and in the meetings of our whole school Houses. Our care grows from a belief in the potential of every child and a sense of ourselves as a happy community, which knows and supports its members well. Tutors are a very special and crucial part of our caring provision and are central to our pastoral system. In Pre-Prep and Juniors, form teachers ensure that their pupils are happy and settled at school. In the Senior School, the tutor becomes the first point of contact for pupils, parents and teachers alike. Knowing your child well and seeing him or her every day enables the form teacher or tutor to develop a close understanding of the children in their care, allowing them to act as support, stimulus and guide to the academic, personal, social and extra-curricular development of their pupils. It is our collective dedication that Mayville pupils are happy, purposeful and fulfilled. The Able, Gifted and Talented programme at Mayville High School is supervised by a specialist co-ordinator. Competitions, masterclasses, focus days, residential courses, and overseas trips are among the stretch and challenge activities we offer at Mayville to motivate, challenge, and extend pupils who are on the programme. 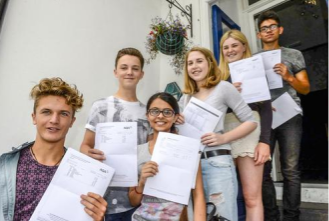 Pupils will be added to the register when they achieve a score of 129 or above in verbal and quantitative reasoning, or they achieve a score of 129 or above in non verbal reasoning as well as an above average score in verbal or quantitative reasoning. A talented pupil will normally be nominated by a member of staff. This could be for sport or any of the Creative Arts. Extending the gifted and talented: most extension work is carried out in class. Teachers are informed of the requirements for able children and will provide suitable extension opportunities including taking part in events set up by local colleges, maths challenges, sporting events, languages days, general knowledge competitions and Blue Fusion for science. During the 1890s Mayville was one of a number of small schools in Southsea providing private education in the city. Since its beginning at the home of Miss West at 1 Gains Road the school has occupied various premises within a stone’s throw of its first home and current location. Between 1911 and 1936 the school accepted boarders but in 1936 Miss West transferred the boarding pupils to Charmandean Manor School in Worthing. Mayville reopened in September 1936 as a day school on the same premises and under the leadership of Mrs Livesey the school prospered and was one of the few schools not evacuated during the Second World War and briefly had a group of senior boys. On the death of Mrs Livesey in 1980 the school became a charitable trust. Whilst Mayville has always been a mixed school by the early 1990s the male presence in the school was tiny. However, that changed in 1994 with the introduction of boys with the creation classes for boys and girls. The school has always moved forward with the times and the flooding that hit Southsea in the autumn of 2000 provided an opportunity to take a giant leap forward once the disaster of losing our hall, kitchens, dining room and the entire Pre-Prep was assimilated! Since the flood the development of our buildings has included a small hall, two new science laboratories, a large and bright art studio, a purpose built music studio, enhanced DT facilities as well as new state of the art buildings for the whole Pre-Prep and Junior Departments and new accomodation comprising a ground floor suite of rooms in Margarette Russell House for the Nursery. The final phase of building was completed by Christmas 2008 with the opening of the Linda Owens Hall. In 2017 and 2018 two new teaching blocks were added to the Livesey Senior School campus. Michael Babcock House and Charlotte West House comprising a new drama centre, DT, Art and Music studios, a Health Centre, pupil common room and more classroom space meant that senior pupils had state of the art facilities.